Exclusive! 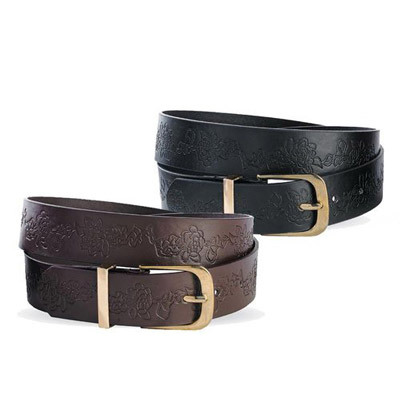 Faux leather with dainty, embossed flower pattern and gold-tone buckle. Imported. 1¼"w.